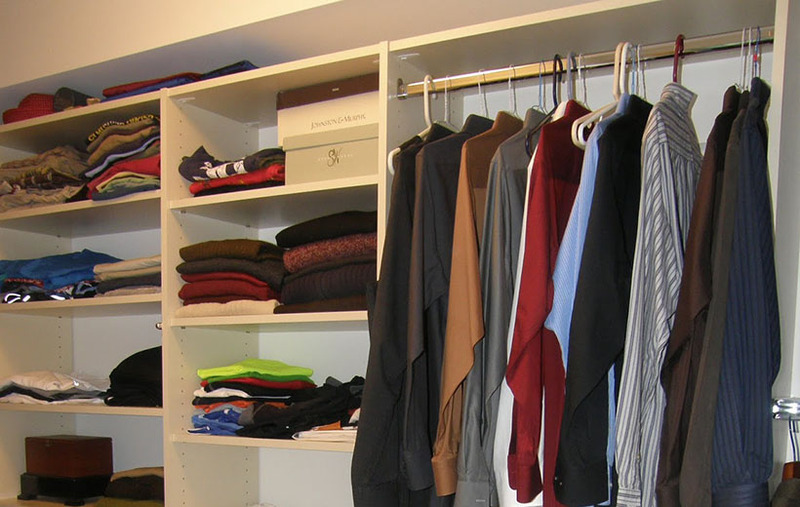 Even the best designed custom walk-in closet or reach-in closet can get overwhelmed if you pack too many clothes into it but parting with items of clothing can be difficult. Whether it’s because the item has sentimental value or because it cost a lot of money, letting go can be hard. However, a once or twice a year cleaning out of items in your closet has many benefits including making your clothes more accessible, shortening the time you spend getting ready each morning and creating a place of a calm instead of chaos. Here are 6 questions to ask yourself when deciding whether or not you should keep an article of clothing (this includes everything down to your shoes, socks and underwear!). Have you worn it in the last year? If not, it’s time to let go of that item. Keeping an item for the small chance you might wear it sometime in the future is not worth the space. Sometimes we just tire of an item and sometimes a new item never transforms into the vision we had in the store. It is time to move on! Does this item make me feel good about myself? An item that doesn’t make you feel confident or happy when you put it on isn’t worth keeping. Clothes should make you feel great! If they don’t, it’s time to move on. Is the item in poor condition? Take a close look at each item. If it is stained, ripped or faded, let it go. Fashion is always changing and it is fun to add new trendy pieces of clothing. Just make sure that when the trend has moved on, so have you. If I was shopping today, would I buy this? This is probably the most helpful question to ask yourself on those items you are just not sure about. If you answer truthfully, it will can be an eye opening factor on whether to keep an item. If you wouldn’t buy it now, it is time to go.